A brilliant undefeated 132 by Cheteshwar Pujara has given India the lead against England. Having bowled England out for 246 yesterday, the Indians struggled initially as Stuart Broad got into his stride early in the day. KL Rahul continued to toil against the inswinging ball and Broad exploited that weakness, trapping him LBW on 19. The Englishman was relentless throughout the morning and eventually struck again, picking up Shikhar Dhawan for 23 (53 balls) shortly after the drinks break. The excitement in the crowd was palpable as Virat Kohli strode to the crease. He joined Pujara in the middle and injected a real impetus into the innings. Kohli got off the mark with a gorgeous cover drive for four off the second delivery he faced, and luck was also on his side when he nicked a ball for four to reach 6,000 Test runs. He reached the milestone in the second fastest number of innings for an Indian batsman (two behind Sunil Gavaskar and one ahead of Sachin Tendulkar). The pair brought up their 50 partnership – Kohli 25 (40 balls) and Pujara 28 (69 balls) – but were tested just before lunch by the English spinners. Moeen Ali and Adil Rashid relentlessly targeted the rough patches on the pitch but the two batsmen survived through to lunch. Apart from Broad, the English bowling attack hadn’t really fired in the morning session. Their cause wasn’t helped by Ben Stokes’ apparent knee injury which has kept him out of the attack and which lead to Keaton Jennings being brought into the attack. Jennings will hope to pick up some wickets to make up for his lack of runs in the series. After the break, England made inroads into the Indian line-up as they picked up three wickets in the second session. Pujara looked solid as he marshalled India to 181-5, trailing England by 65 runs. India looked dominant early in the session when Pujara and Kohli (46 off 71 balls) laid the foundations for the Indian innings with a 92-run partnership before the skipper fell four runs short of his half-century. Sam Curran came to England’s rescue once again, inducing Kohli to waft wildly outside his off stump to nick it through to Alastair Cook in first slip. This proved a big moment in the game as the wicket exposed the fragile Indian middle order. Stokes was soon brought back into the attack and he dismissed Ajinkya Rahane (11 off 14 balls) leg before with an inswinger that the batsman couldn’t pick. Rishabh Pant, who was brought in to replace the struggling Dinesh Karthik, didn’t make much of an impression after being dismissed for a 29-ball duck as was also trapped in front by a flighted Ali delivery in the final over before tea. This rollercoaster of a match has been hard to predict with both sides seemingly reluctant to put the other away. The English bowlers came back well after tea to pick up the five remaining Indian wickets and restrict them to a 27-run lead. India would have been confident after lunch when they were cruising at 142-2 but the fall of Virat Kohli exposed India’s fragile middle order in another calamitous collapse. At one point their lead didn’t seem likely when they were struggling at 195-8 after a sensational bowling spell from Moeen Ali. He was the pick of the bowlers in the third session as he continued where he left off before the break to dismiss four more Indian batsmen, finishing with 5-63 off his 16 overs. 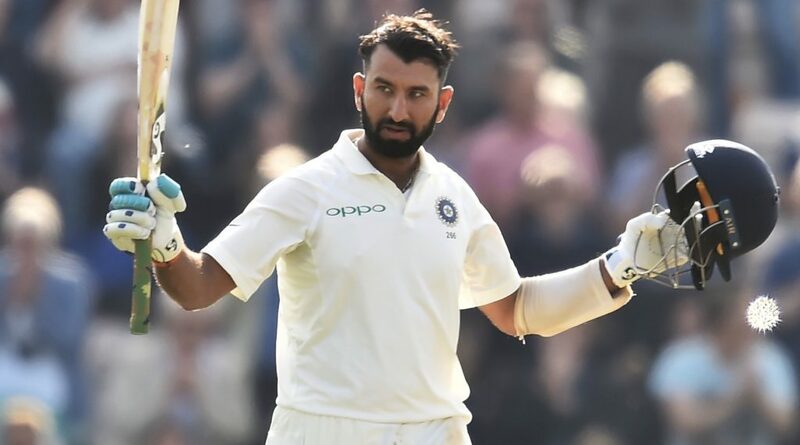 Cheteshwar Pujara was the star of the Indian line-up and the only Indian batsman to capitalise on his solid start, finishing with a vigilant, unbeaten 132 off 257 balls. His century looked in doubt as he watched wickets fall regularly from the other end against a resurgent English attack. Ali (recalled into the team for the first time during this series) proved why he was reinstated with a five-wicket haul in the innings. He almost had a hat-trick but Ishant Sharma kept out the delivery and courageously played his part in the Indian lead. Pujara batted well with the lower order to help usher India to their 27-run lead. His 32-run partnesrship with number 10 Sharma, and 46-runs with number 11 Jasprit Bumrah, were key to reaching England’s first innings tally and establishing the slight lead. His efforts went a long way in putting his team slightly on the front foot going into day three. India ended on 273 after 84.5 overs, and England finished the day on six without loss, with Jennings relieved to break his pair.